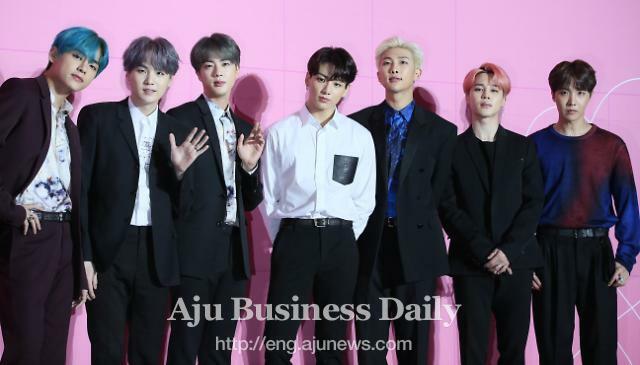 SEOUL -- Boy band BTS was nominated for American Music Awards (AMA) for the first time as a K-pop act. AMA is an annual American music awards show. 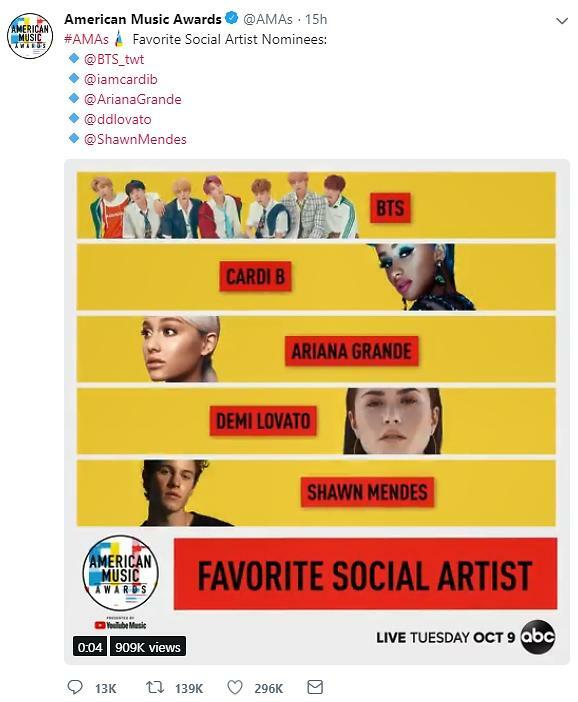 AMA announced nominees for this year's award event and the seven-member group was nominated for the "Favorite Social Artist" category along with other popular artists such as Ariana Grande, Shawn Mendes, Cardi. B and Demi Lovato. Unlike the Grammy Awards, based on votes by members of the Recording Academy, AMA are determined by the public and fans. 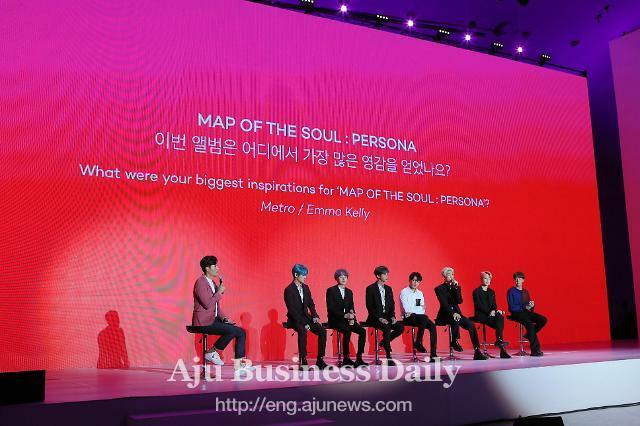 This year's AMA event will be held on October 9 in Los Angeles. 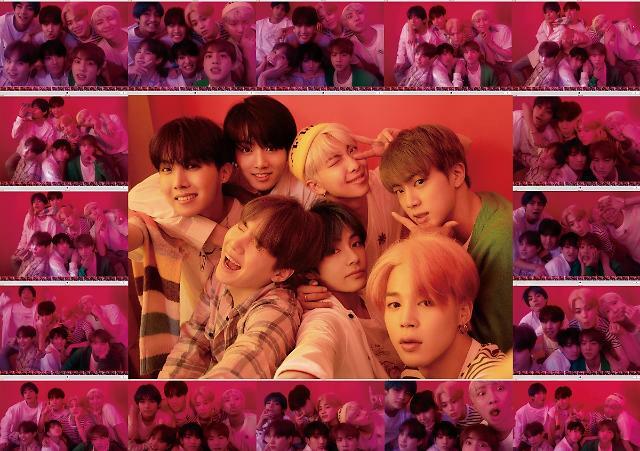 BTS has mesmerized millions of fans worldwide with "LOVE YOURSELF: Answer", the group's latest album released on August 24, and "IDOL", the album's title song. The special version music video of the song featuring popular rapper Nicki Minaj has garnered more than 23 million views on YouTube in less than seven days of its release.